Quality, Fineness, Genetic Diversity, Beautiful Colors! Peruvian - Radar was Ravada Hills Dk. 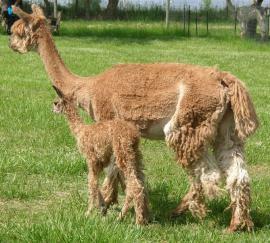 Fawn full Peruvian herdsire who sired 5 crias for Ron and Sandy with amazing colors! 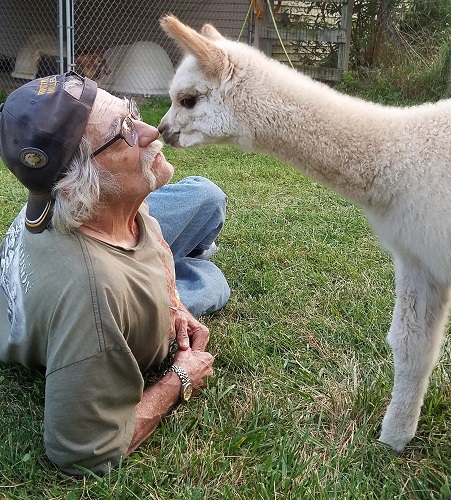 He has passed on the color genetics of his famous Grandsire, Condor, and Sire Gunsmoke. 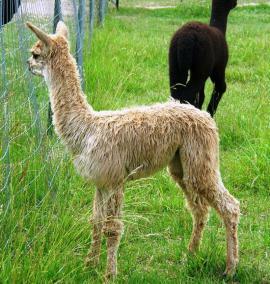 Bred to White dams he has produced 3 Greys (two Silver and one Rose Grey) and 1 Dk. Fawn. Out of our Brown dam, Que Suerte, he has produced a beautiful Lt. Silver Grey Appaloosa. Chief Redwing is at breeding age and ready to prove himself this year. He has been slick shorn annually since 2010 and his fleece regrowth every year exhibits good length, beautiful luster and fine twisting locks...a nice independent lock structure with soft handle but not so tightly twisted as to make his fleece difficult to process. 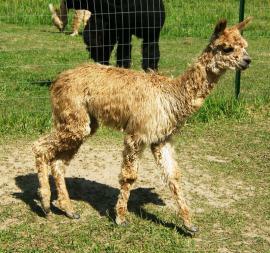 His first show was the Michigan Breeders Show, May 2010, where he was awarded second place in a class of three light fawn juveniles. Chief got his name from his proud, independent stature, yet he is calm and easy to handle. 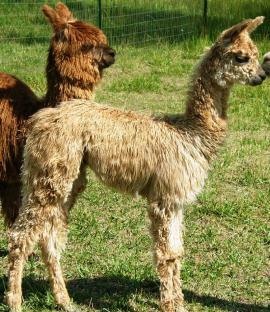 His fleece exhibits lovely luster, well defined locks, both fine and dense. 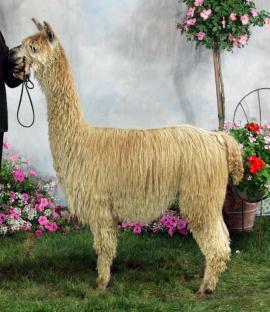 He carries some of the best known, most highly sought after Suri bloodlines including 4Peruvian Condor, Gunsmoke, Peruvian Aureo, Peruvian Fuego, and PVA The Prince of Ghirardelli. Chief is available at a low junior herdsire price, with reserves. 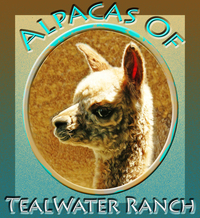 Add a gentle, well structured proven show quality male to your herd and use him with your breeding females to enjoy his impact on your herd for years to come! I like to work with clients to support their breeding goals. Stud service is available via no-fee referral to the new owners of the herd. Give us a call or drop us a note to learn more. This herd has the depth of quality and diversity in the breeding program to offer some very nice breeding packages.